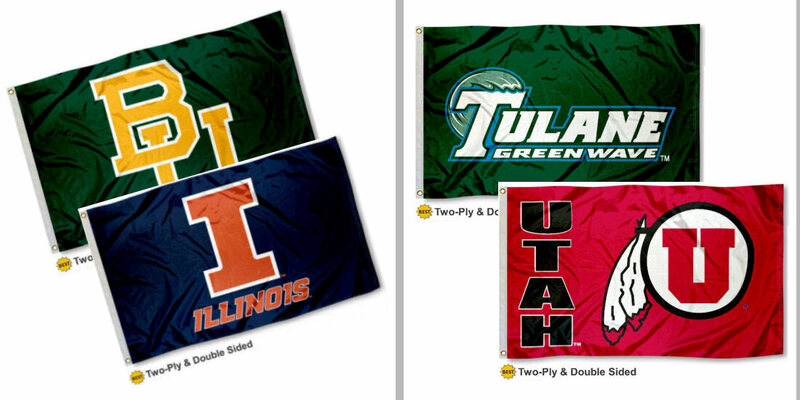 Our NCAA Flags are made to the highest quality standards in the flag industry. These Stadium Flags measure 3'x5', are constructed of 2-ply nylon or poly (2 layers) and offer quadruple stitched fly ends for durability. 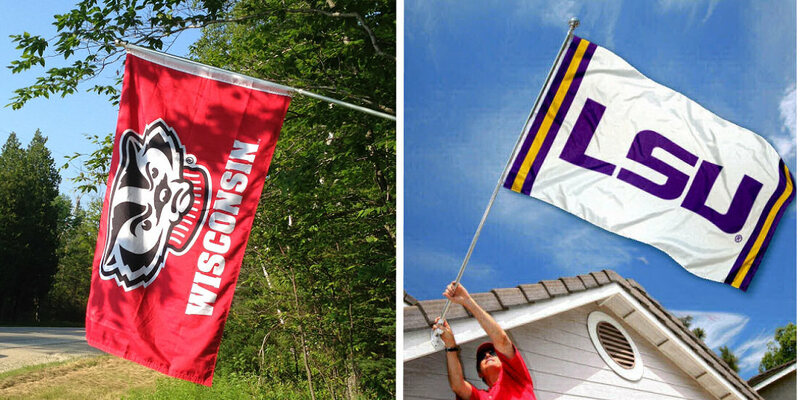 Since our NCAA flags are two-ply constructed, school logos are viewable and readable correctly on both sides. NCAA Flags can be flown from our tailgate flagpole, or be flown as a house flag with our 6' aluminum flagpole and adjustable flag bracket. These NCAA Flags are available for over 125 schools including all NCAA Div IA football schools and are the Official Flag flown over the College Football Hall of Fame. Also, each Flag is Officially Licensed by the selected school which ensures premium quality, current insignias, and authentic colors.